With a convenient and easy-to-use interface, you will create a huge high-quality poster in no time. 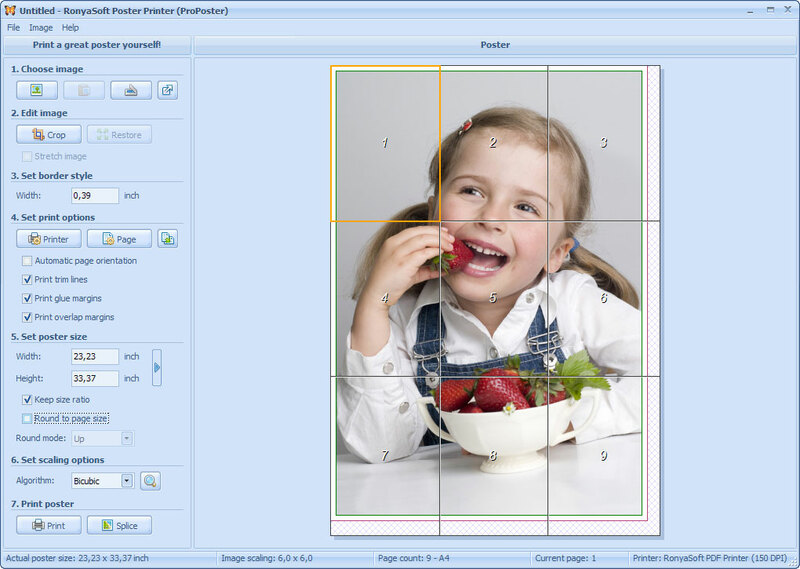 Just select an image, specify the size and send the print job to the printer. Use glue to put separate parts together and your poster is ready. Make a great poster yourself. My posters came out awesome.